Very little research currently exists on the gambling behaviour and prevalence among New Zealanders with Pacific backgrounds. Recently, a study was published in Pacific Health Dialogue, exploring gaming behaviour among this demographic, revealing some interesting insight into the gambling activity of Pacific mothers who live in New Zealand. Most mothers (77% of respondents) enjoy playing the lottery, and at least half of those interviewed claimed to buy lottery tickets on a weekly basis. Average spending on the lottery is about $10 per week. Other popular forms of gambling are electronic gaming devices (pokies) and in-house games like bingo. 71% of mothers play bingo on a weekly basis, spending an average of $40, while 12% play pokies, spending an average of $20. Horsebetting, Instant Kiwi and ‘other’ forms of gambling are less popular. When it comes to age, gambling behaviour differs greatly among Pacific-New Zealand mothers. Of those interviewed, over 150 mothers aged 30 – 39 spend money on gambling. The least likely groups to gamble are the under 20 and over 40 age group, with only 22 and 15 respondents, respectively, taking part in gambling activities. Ethnicity and religion also seems to have some bearing on gambling behaviour. 108 Tongan mothers admitted to spending money on gambling, while just 77 Samoans admitted to the same. Only 35 mothers from other Pacific areas spend money on gambling. Surprisingly, Catholic and Presbyterian are the most likely to take part in gambling activities while 7th Day Adventists and Assembly of God members are the least likely. The culture of New Zealand also has an effect, as the longer women have been in the country, the more likely they are to gamble. According to the study, mothers who have lived in the country for over ten years are the most likely to gamble while those who have lived in New Zealand for less than 2 years are the least likely. 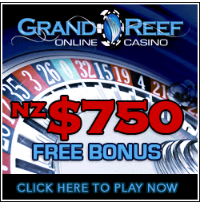 This shows that the overall popularity of gambling in New Zealand’s culture has a tendency to rub off Pacific residents. This research paper provides unique insight into an issue that has yet to be truly explored. We hope to see similar studies conducted in the future to reveal more information about specific ethnic groups and demographics. To read the full report, visit Le Va.